Sadhguru answers a question on what should be the foremost quality of a spiritual seeker. Questioner: Sadhguru, what should be the foremost quality of a seeker? Sadhguru: If you are a genuine seeker, that’s all that is needed. If your seeking is the only quality you have, that is definitely the most important thing. Most of the seekers are only off-and-on seekers. In 24 hours, how many of you are even conscious of your seeking, and how many moments? That’s all I am asking you – what are you doing today? 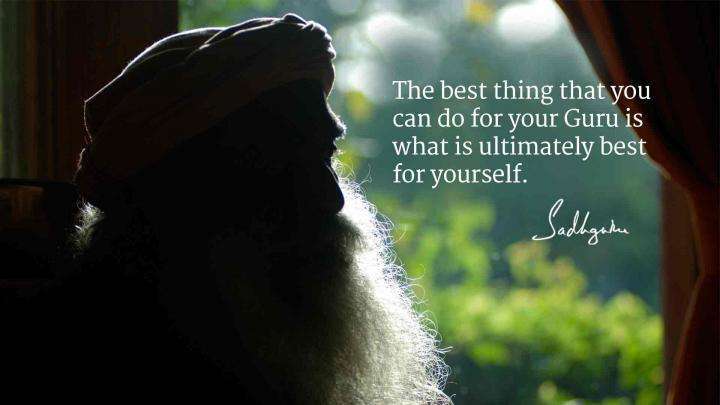 People think, “Sadhguru...no compassion in him. It doesn’t matter what we have done, once again he is asking, ‘What have we done today?’” Because if you are a seeker, what you were yesterday doesn’t mean anything to you. “What have you done today?” is the whole thing. The psychological survives, nourishes and flourishes on the past. The existential is of the now. Unless you are truly concerned about what you are doing today and how you are right now, how can you still be a seeker? “No, I have been a seeker for 10 years.” – That doesn’t mean anything. Are you a seeker now? Because the existential is only now. The rest is all psychological. I see a lot of past seekers. They have been seekers for 25, 30 years – veterans. What to do with that? Only if someone is hungry now, you can serve them food, isn’t it? If someone is alive now, you can feed them. Somebody was – what can you do with them? So if your seeking is in the past tense, it doesn’t mean anything. Are you a seeker now, right now? If you are, that is what means most to me because only then can I do something with you. If you are a past seeker, we are just neighbors. If you are a seeker now, I have something to do with you right now. Editor’s Note: Get the latest updates from the Isha Blog. Twitter, facebook, rss or browser extensions, take your pick. Please Sadhguru do something for me! drama that goes in my mind is unbelievable sometimes...... i'm still waiting for this intense seeking to come, I know it will come, because it has to, and there is no other way to be. I am a seeker now....can you do something with me right now? help me to become a constant seeker. Jai ho Gurudev I find d above description of d seeker very meaningful. One should always have d hunger for seeking. 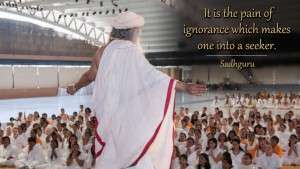 Gurudev is always ready to bestow his knoledge to d seeker. Very well concluded 'if u r a seeker now. I have something to do with u right now." you DO have something to do with me, RIGHT NOW! Through these series of quotes, Sadhguru looks at how one "can create a chemistry of blissfulness." What is a Guru's role and and how does one find a Guru? 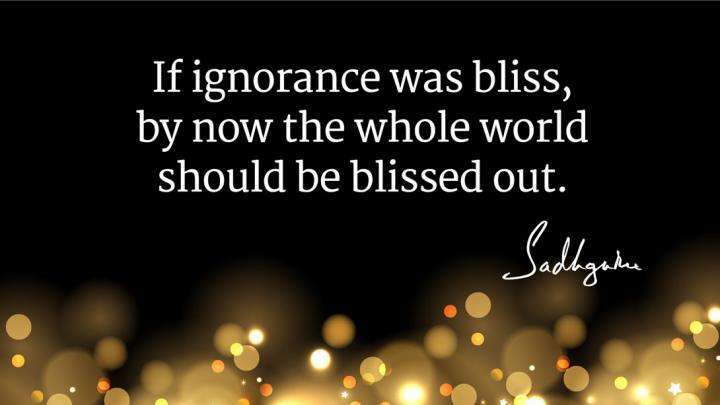 Here are a few quotes from Sadhguru that throw light on the dispeller of darkness.